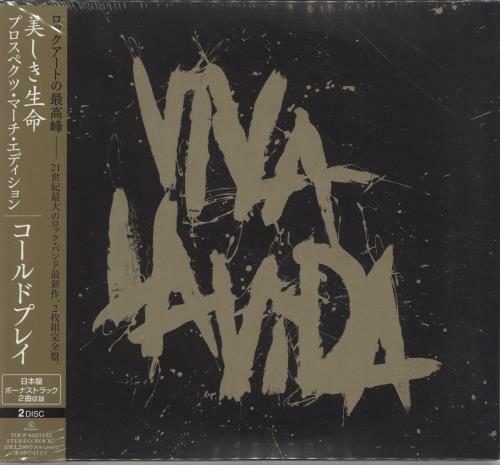 COLDPLAY Viva La Vida (2009 Japanese promotional sample issue of the limited edition 18-track double CD set, issued to radio stations and reviewers ahead of the actual release. 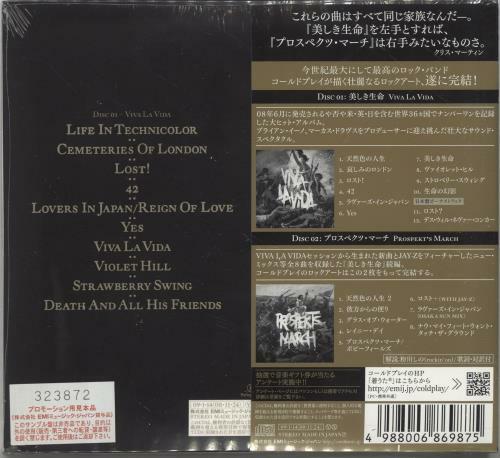 This deluxe edition comprises the 10-track album featuring the singles Violet Hill, Viva La Vida & Lost plus the Bonus 'Prospekt's March' EP including five brand new songs, a special guest appearance from Jay Z on the new version of 'Lost+', plus a vocal version of the now-classic Life in TechnicolorII and an alternative mix of Lovers in Japan. Both discs are housed within a sealed & promo-stickered gatefold LP-style card picture sleeve with obi strip! TOCP-68851~52).